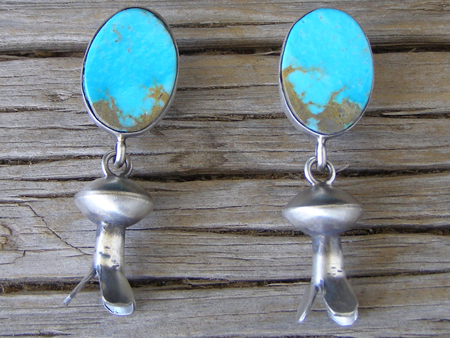 These pretty earrings by Navajo silversmith Selena Warner have ovals of Kingman turquoise set on the posts with free-swinging squash blossoms suspended below. Wholly handmade and very pretty! Hallmarked SW and stamped Sterling on the back of the posts.